What does it take to worship? I’ve been listening. I’ve been listening to the people putting together the outlines for Sunday morning services – some call it the meeting, some call it worship. It is, beyond the labels, the plan to guide a corporate worship time. Last Sunday I was in a small corps in Newfoundland where the music reflected the local culture. The sincerity of the people and their authenticity of worship was evident. No big brass band, no large songster brigade – just a small group of people singing – a couple of instruments – and lots of good singing. What’s the intent of the planning then? I’ve always felt that in planning a service it should serve the purpose of supporting the intent of the sermon. If we believe that the sermon comes to us as a word from God, and that that teaching has something to say to our coming week then herein lies the focus. Whatever happens from their has that intent. Of course the challenge to those who do this is that the intent rests in style. So will the style be “pop” or jazz or high altar (like Anglican) or will it be Victorian Add to the mix that the words of songs will also reflect and support the theology. I hear lots of comments – some positive – some critical. And having been part of the process (sometimes solely) to put together a meaningful plan I’ve received lots of comments. So here’s my question: do you think it’s easy? Would you like this responsibility every Sunday? 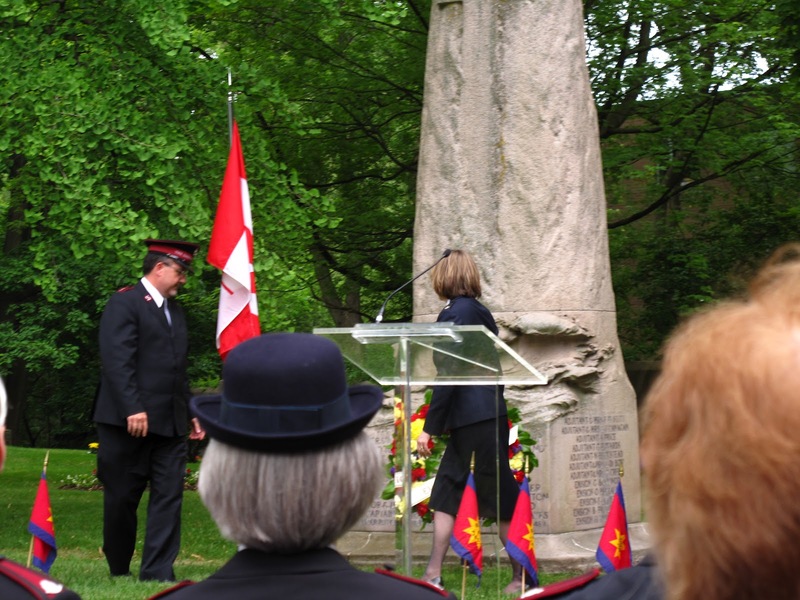 Yesterday afternoon Salvationists gathered at the Mount Pleasant Cemetery to remember those who lost their lives on the Empress of Ireland as well as Officers who have been Promoted to Glory since this same meeting last year. 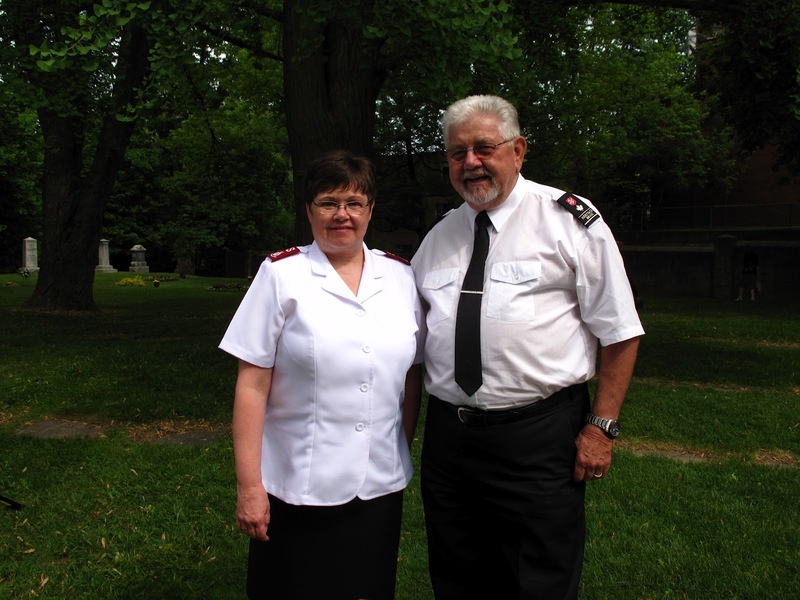 Majors Max and Doreen Sturge led the service with other participants including a solo by Wendy’s Dad. It was well done and Max had a fascinating story to tell of one of the coal stokers who worked on that ship – who had also been a coal stoker on the Titanic and had survived. He later went on to get a job on the ill-fated Lusitania. He survived that as well according to Max’s research. Part way through the service I could see some clouds pushing in and, as they had suggested the possibility of thunder showers, I went to get our big umbrella from the van. As I did a group of golf carts went by – a tour group it became apparent, who stopped down from our gathering. I heard the tour operator tell the tourists that they were witnessing a historic gathering. 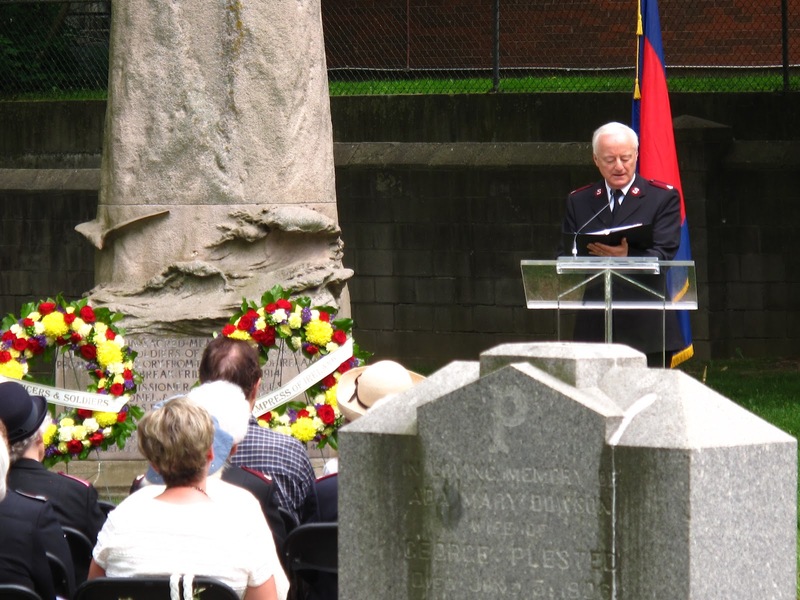 He knew that this gathering had been going on each May for 98 years, and he explained about the Empress of Ireland and the significance to Canada and the Salvation Army. 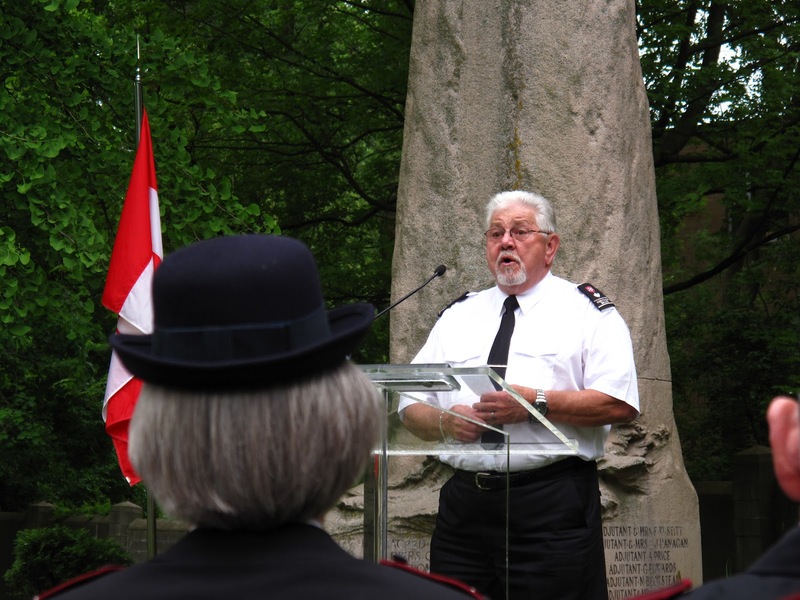 Indeed it was significant to The Salvation Army with the loss of most of the senior leadership and the Canadian Staff Band. 167 people in total in that group. Yes it is a celebration of sorts. A celebration that life on this earth is not the end. A celebration of God’s promise for Heaven. 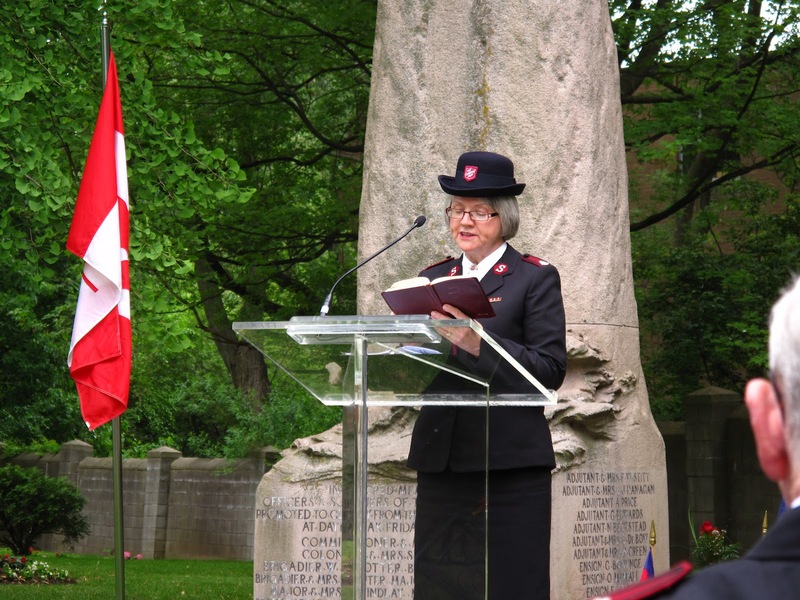 A celebration of the fact that God has been faithful to The Salvation Army and today we continue to make a difference for the Kingdom of God’s sake. of stories about the tragic event. River not far from the town of Rimouski. The Empress sank in less than 14 minutes. Many of those 167 were from Toronto. 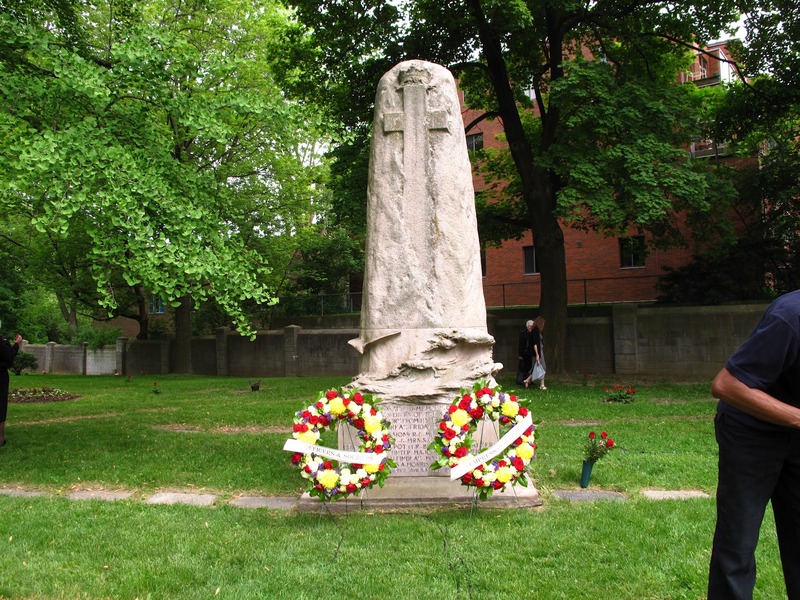 was erected in Mount Pleasant Cemetery. 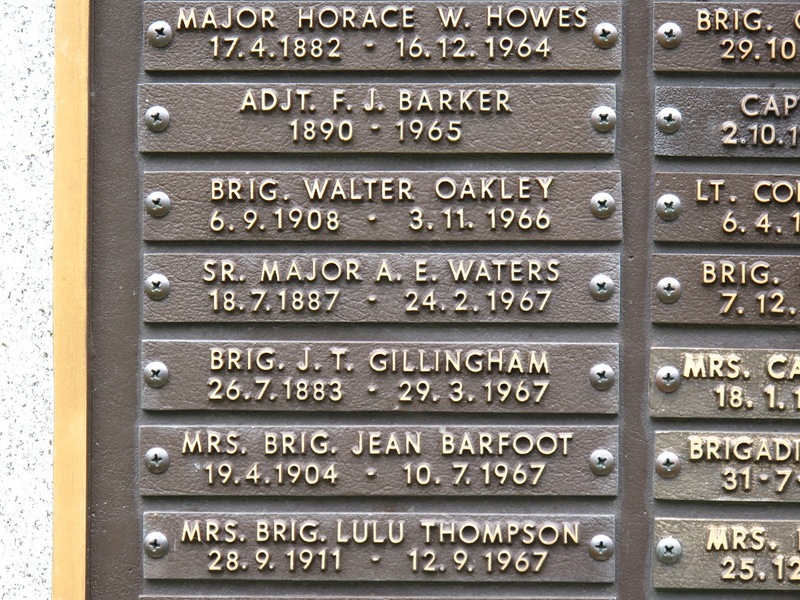 memorial. This year’s will begin at 3 p.m.
and, of course, the public is invited. those, 76 Canadians lost their lives.